Having served as a full-time youth pastor for over 25 years, Casting Crowns’ front man, Mark Hall, continues to draw inspiration from the well of real life. “Because we have the honor of walking with people in our churches, we get to see what people are going through – the issues that are impacting everyone now,” shares Hall. 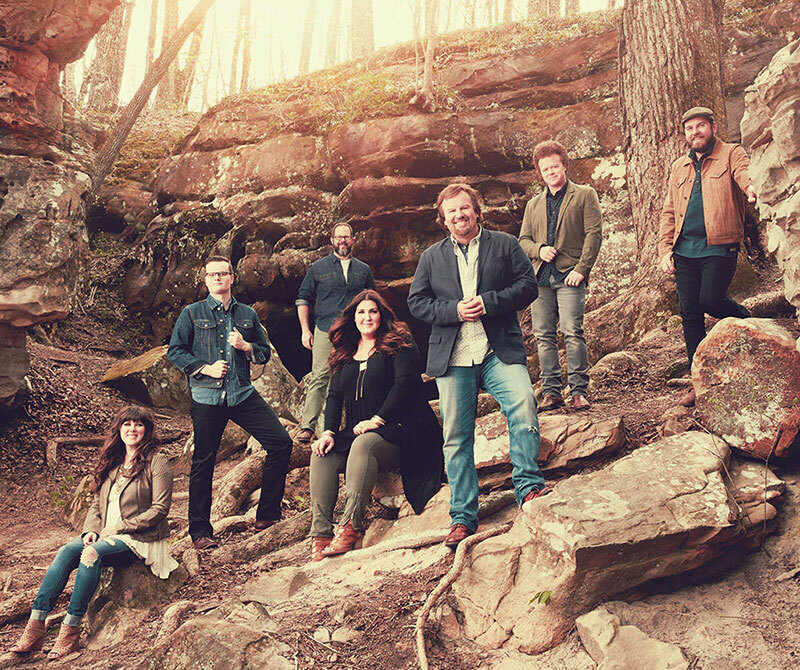 “It’s in these situations that ideas are born for what we all need to hear right here and right now.” The local church has been the base for Casting Crowns’ music since their label debut release in 2003. With more than 10 million records sold and the title of Billboard’s top-selling act in Christian music since 2007, it’s still where the music is created. Hall and his bandmates – Juan and Melodee DeVevo, Megan Garrett, Brian Scoggin, Josh Mix and Chris Huffman – continue to work in ministry in their respective churches. The local church is the heartbeat of the band and the songs are an outpouring of that. The Very Next Thing, Casting Crowns’ latest offering, is a collection of intimate songs as well as upbeat, fresh sounding tracks with impactful lyrics centered around identifying and acting on what’s right next to you. Along with this over-arching message, there’s also a deeply personal element to the record. Hall wrote the poignant and powerful “Oh My Soul” after being diagnosed with cancer in 2015. His first worry was about his family and he turned to the scripture in Psalms – Why so downcast oh my soul, put your hope in God. The biggest name and one of the hottest rising acts in Christian music teaming up at your 2018 Great Jones County Fair. Get your tickets, bring a friend, and join us on Sunday July 22 for a night of Christian worship with Casting Crowns!